Updating Windows operating system is essential to work efficiently and get maximum security. Microsoft regularly releases updates to improve the overall performance of the users. But updating the Windows operating system is not an easy task, as this might cause update issue or Windows 10 update error. There are many different Windows 10 update errors faced by the users time to time while updating the Windows 10 operating system. Well, in our recent blogs, we have discussed plenty of Windows 10 update errors and today we have another – Windows Update error 0x80073712 and sometimes the error 0x80070003. This Windows 10 update error 0x80073712 is faced by the users when the Windows update files get damaged or missing, then, in this case, it starts showing error code 0x80073712. Well, there is no any exact reason behind getting the Windows 10 error 0x80073712, but this is typically caused by underlying PC issues and this cause Windows Updates to fail. 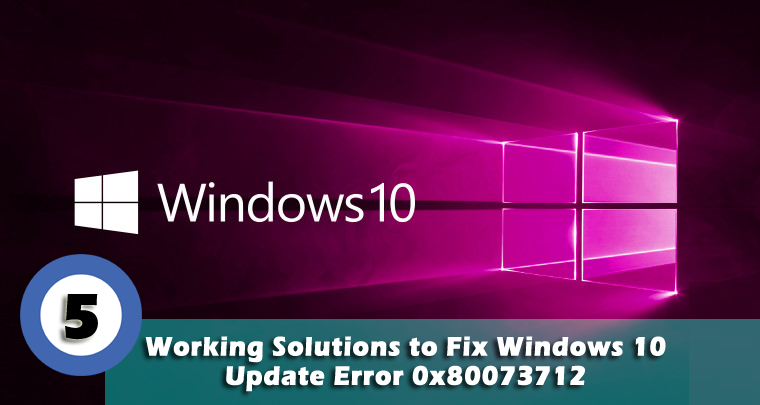 Moreover, to fix error 0x80073712, we have discussed possible working solutions that helped many users to get rid of the error 80073712 and update the Windows 10 OS easily. There is no any exact solution to fix Window 10 0x80073712 so here we have put together some of the best working solutions to troubleshoot Windows 10 update error 0x80073712. But before moving further very firstly, it is recommended to restart your system a few times, as sometimes restarting the PC/laptop few times will resolve the issue. Very firstly, you need to run Windows Update Troubleshooter, this is the tool integrated by Microsoft to fix Windows Update errors. Download the Windows Update Troubleshooter. Then install the tool, and follow the on-screen instructions. After that try installing the update again. Well, if the troubleshooter won’t help you to fix error code 0x80073712, then it is recommended to run SFC scan. This will help you to fix corrupted system files. First, open Command Prompt (Admin). The tool will start scanning and repair all corrupted files. 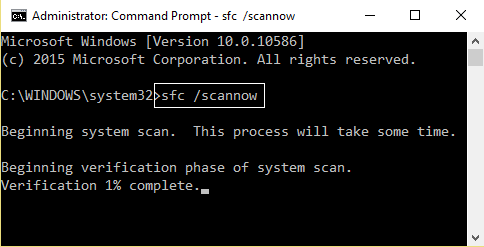 Well, performing SFC scan will help you to fix the system-related issues and also the update problems. Run the DISM (Deployment Image Servicing and Management) tool, this is a special tool to scan and fix update errors. Hit Windows + X Key, then click on Command Prompt(Admin). And lastly, close the command prompt and restart your PC. Well, the faulty Windows update components, also sometimes cause the Windows 10 error 0x80073712. So, in this case, reset your Windows Update components. Then, click Start > type cmd > right click cmd > select Run As Administrator. In the WinX Menu, click on Command Prompt (Admin) to launch an elevated Command Prompt. One by one type the given commands into the elevated Command Prompt. Close the elevated Command Prompt > restart your system. As the system restart, try installing the update again and check whether the error is resolved or not. You can make use of the Media Creation Tool. This is launched with Windows 10 to develop the digital delivery of the system. This might take some effort but is more trustworthy than the Windows Update. Additionally, this can be used to force the updates and surpass the issues. Then, backup your data and license key. Start desktop client > and click Upgrade this PC. The tool will find and install the available updates. Hope the Media Creation Tool, will help you to download the update without Windows 10 0x80073712 error. But if still, you are facing the issue then make use of the Windows Repair Tool, to resolve Update error code 80073712 easily. Scan your PC/laptop with the professional recommended Windows Repair Tool to fix Windows 10 OS various update related issues. This tool is designed with the advanced algorithm and is able to repair most computer errors, and also protect you from file loss, malware, hardware failure and optimize your PC for maximum performance. 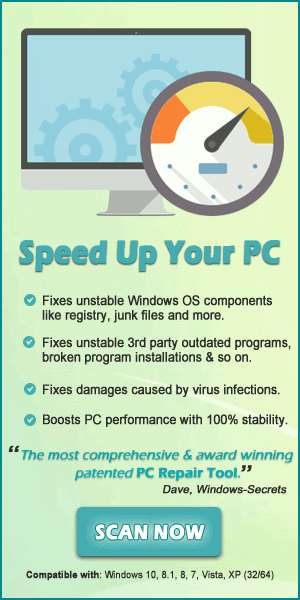 Quickly fix PC problems like BSOD, DLL error, Registry issues, drivers issues, application error and many others and prevents others issues automatically with this software. Well, I guess after following the given solutions the Windows update error code 0x80073712 is resolved. I tried my best to put together the entire working manual solutions. But if in case none of the given the manual solution work for you then you can make use of the automatic tool to get rid of the Windows 10 update error. Apart from that also keep your operating system and drivers updated, also scan your system for viruses/malware to avoid other Windows issues. Additionally, if you find the article helpful or have any query, comment, questions or suggestions related to it, then please feel free to share it with us in the comment section below or you can also go to our Fix Windows Errors Ask Question Page. Are you the one facing Windows 10 0x80073712 update error then make use of the given solutions to fix it easily and update your Windows 10 OS without any hassle.